A short sale or short payoff occurs when a lender agrees to accept less than the outstanding loan amount to satisfy the seller’s loan. 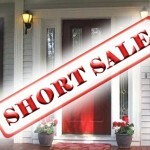 A short sale allows both the lender and the property owner to avoid foreclosure by selling the property at a loss. A Real Estate Broker or Agent wears only one hat in a real estate transaction. Brokers and agents are not licensed to provide tax and/or legal advice. Even “knowing” or believing one knows the answers to a homeowner’s tax and legal questions, it is unlawful for an agent to give tax and legal advice. Agents have a “fiduciary duty” to advise homeowners that there may be tax consequences and advise that a homeowner seek legal and tax advice from a qualified professional. It is critically important that a homeowner talk to a tax advisor that is well versed in short sales. A homeowner must know what questions to ask a tax professional. Do you know what questions you would ask your tax professional? If not, then schedule a free consultation and find out. A consultation with a qualified CPA to understand upfront any possible tax consequences versus making decisions in the dark and experiencing unwanted surprises after the transaction closes. Identification and assistance provided to the seller regarding important or damaging legal issues (deficiency judgments, tax implications, fraud, etc) at the earliest possible opportunity versus working in the dark and experiencing unwanted surprises after the transaction closes.